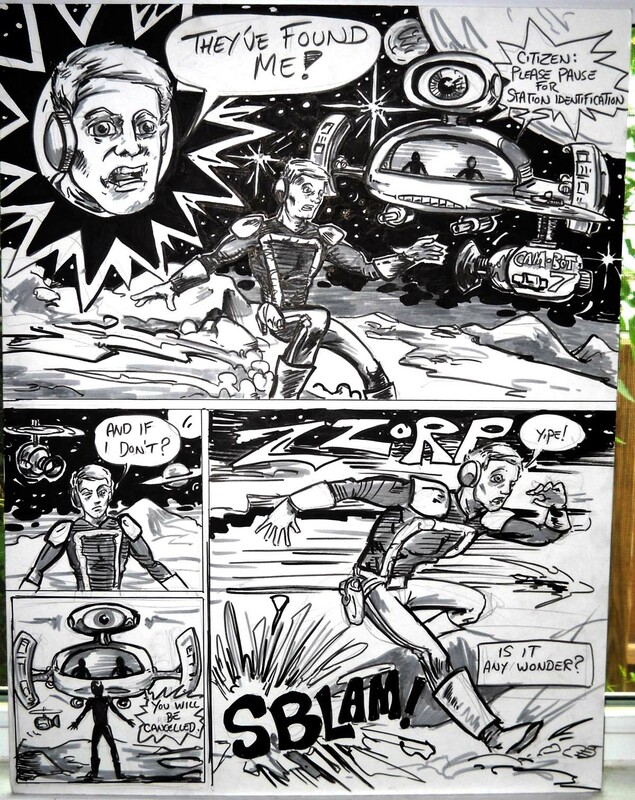 Space Captain Phillips encounters the T.V. eye of Sirius 15, and takes evasive action. Drawn live at the L.C.S. table during the Speed Art Museum’s Art After Dark event. The event’s theme was ‘Fame’, which may account for the narration-box Bowie shout-out in the bottom corner. 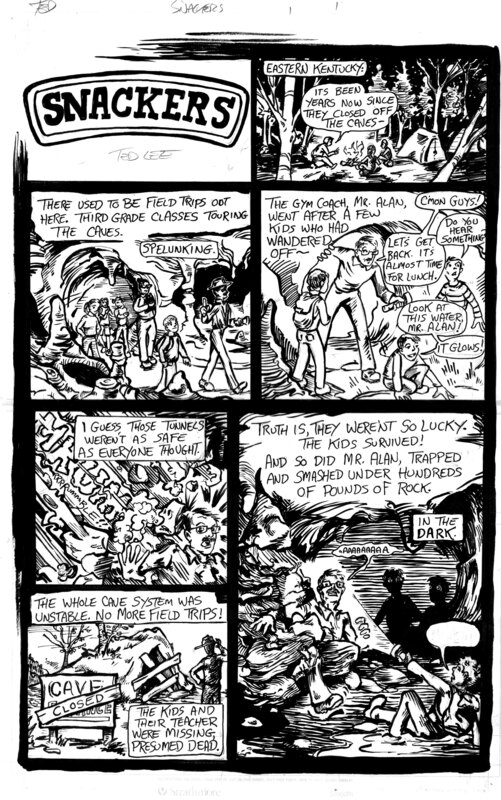 The first page to my contribution to the next Louisville Cartoonist Society book- our Horror Anthology. The story of the Snackers!